Since Peter H. Rossi, Mark W. Lipsey, and Howard E. Freeman first published Evaluation: A Systematic Approach, more than 90,000 readers have considered it the premier text on how to design, implement, and appraise social programs through evaluation. 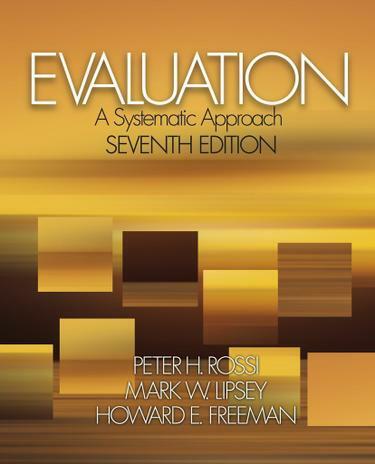 In this, the completely revised Seventh Edition, authors Rossi and Lipsey include the latest techniques and approaches to evaluation as well as guidelines to tailor evaluations to fit programs and social contexts. With decades of hands-on experience conducting evaluations, the authors provide scores of examples to help students understand how evaluators deal with various critical issues. They include a glossary of key terms and concepts, making this the most comprehensive and authoritative evaluation text available.